Select a quality short crust pastry or make your own. 1 On a lightly floured surface, roll out pastry to form a round circle 2-3mm thick. Put pastry into a 22cm tart pan and refrigerate for 20 minutes. 2 Preheat the oven to 190C. Poke the pastry with a fork about 12 times. Place blind baking beads or beans in wax paper over the pastry and blind bake for 20 minutes. Remove the paper and baking beans, lower oven temperature to 180C and bake for another 5 minutes. Remove from oven and allow pastry to cool completely. 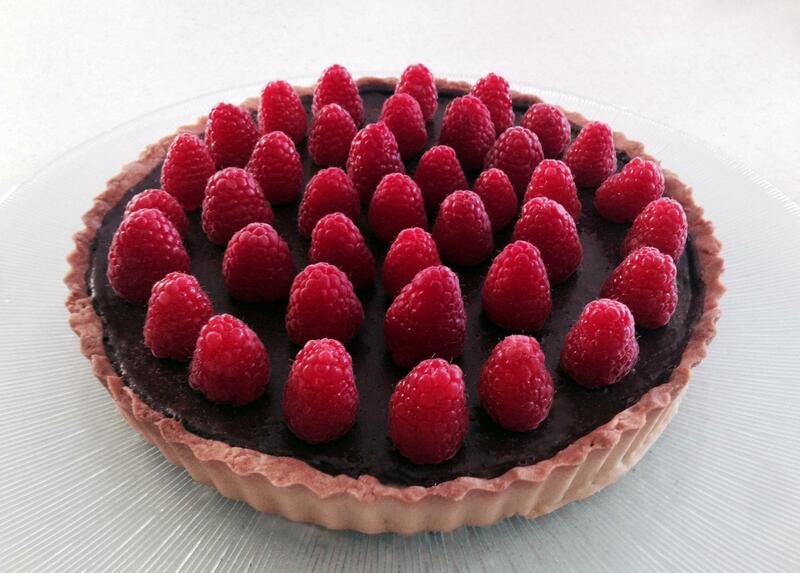 3 Once cooled, arrange raspberries in the pastry, pressing them down with a fork so they stick slightly to the base. 4 For the ganache, slowly bring the cream to boil in the pan over medium heat. Remove from heat and add the chocolate pieces. Stir gently until they are melted through. Then add the liquid glucose. Once mixture is smooth, add the butter little by little until mixed through. 5 Pour the ganache over the raspberries to fill the pastry case. Leave to cool and then refrigerate for at least 2 hours prior to serve. 6 Decorate with raspberries as per photo and dust with icing sugar (optional). Serve cold but not directly from the fridge. Use a very sharp knife to cut tart. It helps if you dip the knife in boiling water prior to use and wipe clean between cuts. Serve with La Casa Del Formaggio Double Cream! A ricotta berry slice made with a wholemeal crust, fresh or frozen berries, lemon zest and topped with pinenuts. This rich and decadent Chocolate and Mascarpone tart is a show stopper. Spoil your family with this gorgeous tart.